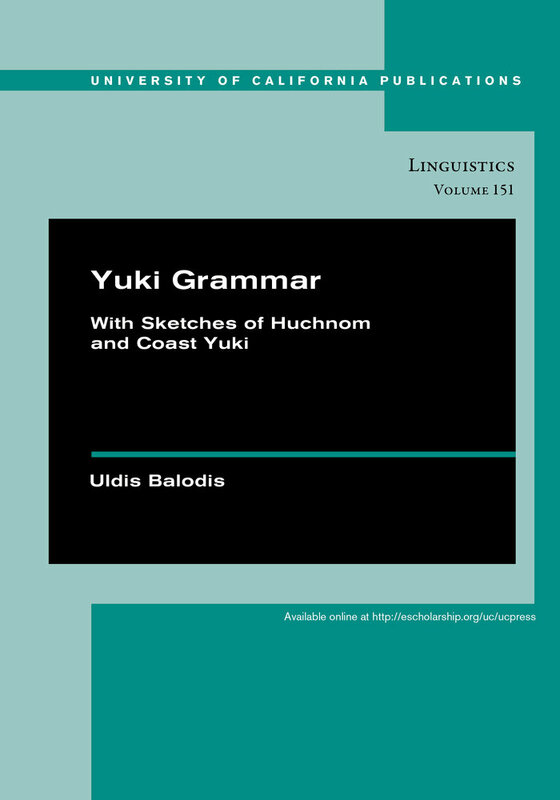 The Yuki language, including Huchnom and Coast Yuki, was spoken in Mendocino County until relatively recently (the last speaker died in 1983). This grammar is based primarily on spoken narratives recorded by Alfred Kroeber between 1901-1911. While Yuki was extensively documented over the course of the twentieth century, there is relatively little in the way of actual published works on the language. Balodis discusses the language within the historical and cultural context of the people who spoke it. Uldis Balodis is a Lecturer in Linguistics at the University of Helsinki. His specialties are Livonian; Native American languages, especially Uto-Aztecan; sociocultural linguistics; ecolinguistics; applications of complexity theory to linguistics.